Our new labor rate is $75.00 hr. Thank you for visiting our online showroom. Here, you can learn more about us, our line of vehicles and our history. 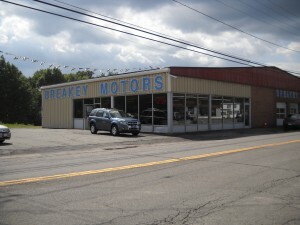 We are a full service dealership with quality used cars, we have a parts department that carries a full line of tires and has parts in stock, we also have a rental car department,we are located in beautiful Delaware County. We have been in business for over 40 years, and we are committed to total customer satisfaction. We are dedicated to meeting the needs of our customers, from the initial purchase of a pre-owned vehicle, to our first rate service department. 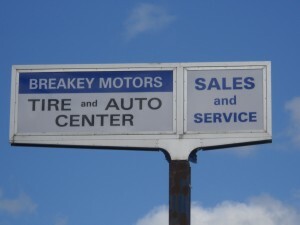 Please feel free to send us an email at info@breakeymotors.com if you need any additional information. Our database is updated frequently with the arrival of used cars. Please bookmark our site and visit us again. Thank you!